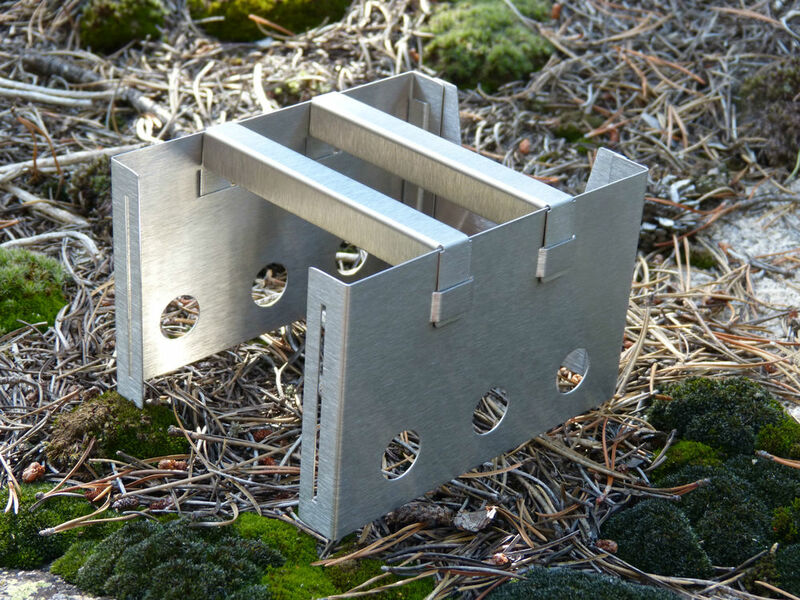 Only takes about 8 cubic inches of your pack! Yes Even Gel Fuels Fit! 20 square inch cook surface! Want to learn more about your new Flame? Click to watch! 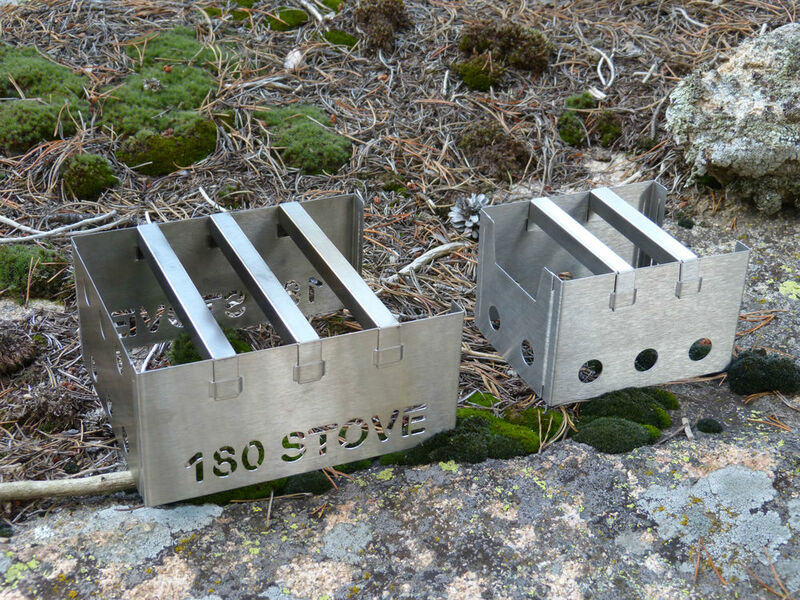 The 180 Flame is the ideal alternative to bulky and fragile gas-burning camp stoves. 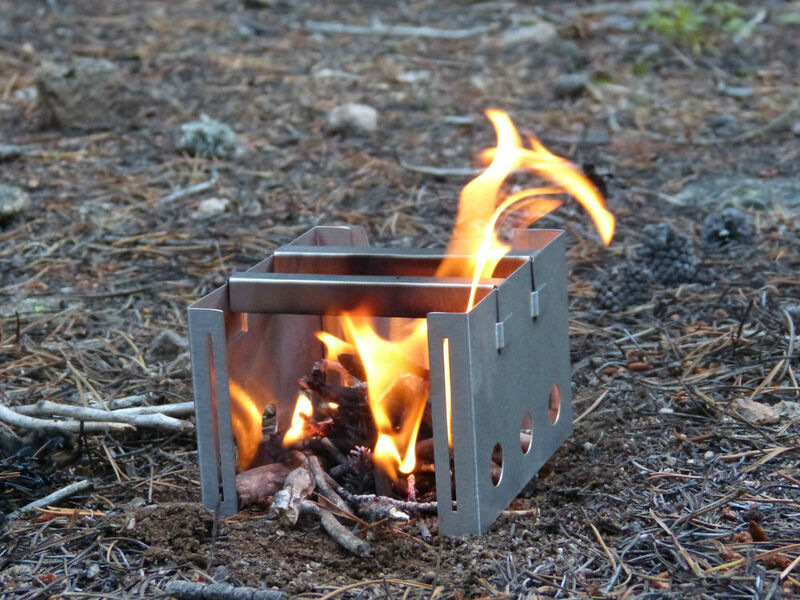 The 180 Flame utilizes fewer parts with minimal weight and maximized reliability. 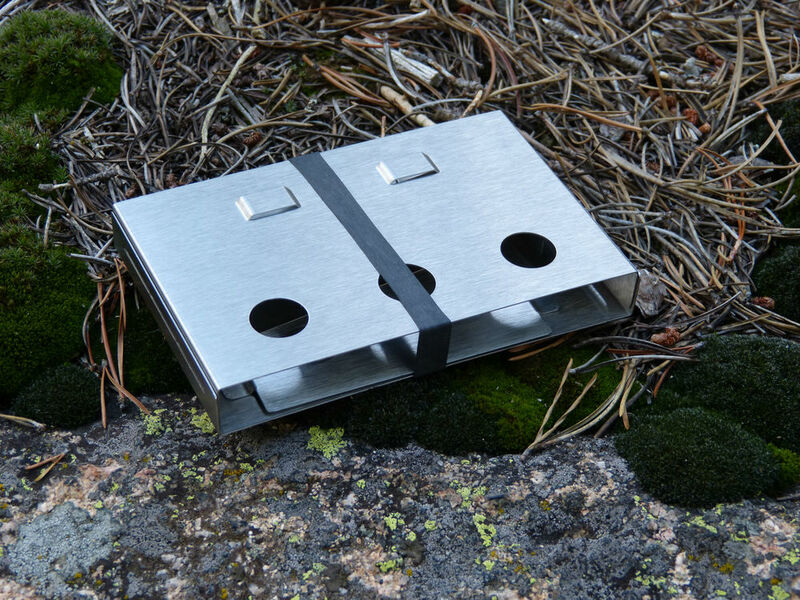 The ingenious locking tab and slot design means there are no hinges, welds or rivets to fail you in the field. The chimney slot in the rear of the stove allows for excellent airflow even when large pans cover the entire cook surface. 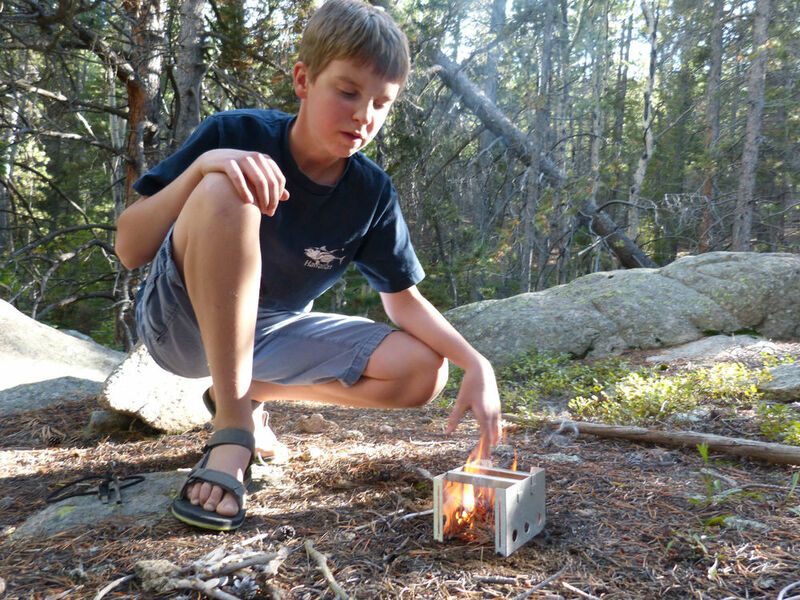 The 180 Flame quickly cooks food and boils water using only small amounts of natural fuels including twigs, grass, pine cones & leaves. 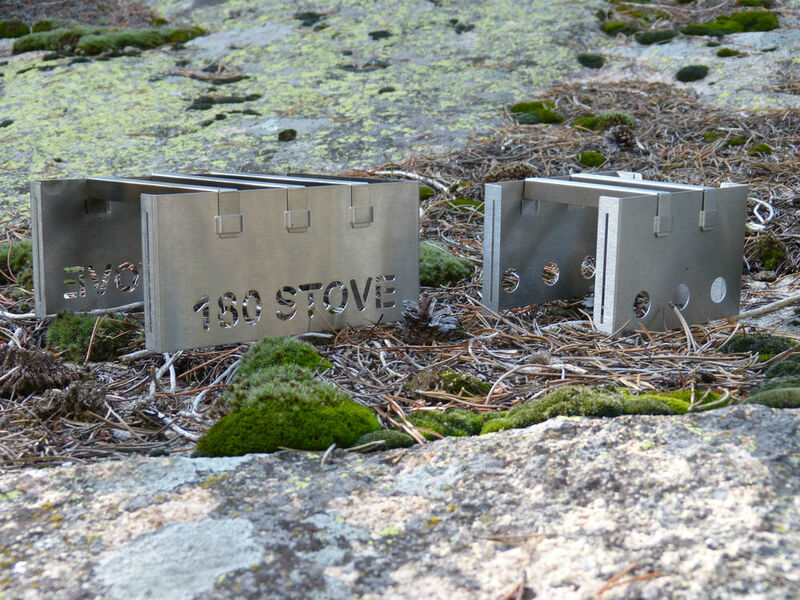 Weighing just 6.4 oz, the 180 Flame is the ideal alternative backpacking stove. 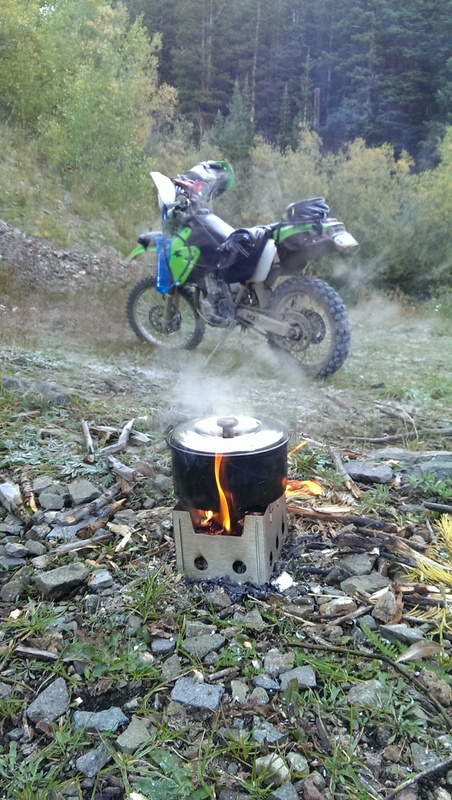 Why carry the extra weight of leaky fuel canisters? Don't pay for something that just fills up our landfills and wastes resources.